LED lighting gives a better solution especially in stand-alone Solar system as these are excellent replacement for conventional lighting sources. Not only these are of very high operational life but these give better lumen per watt at very low power consumption. A typical home lighting system comprises of SPV, smf battery and control box. Individual bulbs are made in attractive ABS moulding with built-in driver to give constant illumination over entire range of battery 6V or 12V. Stand alone system is fully self contained with every thing included in package. It comes in absolutely ready to use condition with no additional wiring to be done. The LED bulbs come in individual moulded unit with simple plug in arrangement to the holders with 4 meter length of cable and a jack at another end to connect to the main control box housing electronics and battery. The control box comes with mobile charging output . Where the grid power supply is very erratic, mobile charging becomes serious problem. This system provides this feature to circumvent this serious issue. Solar Home lighting System comes in two different forms, 12V or 6V operation. Both are extremely cost effective and affordable for remote areas. 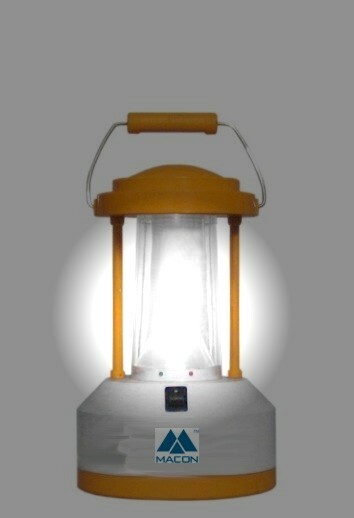 It replaces with advantages the solar lanterns! It does not however compromise on quality. The electronics is fool-proof designed. It has full protections against battery over-charge or deep-discharge. Charge Controller uses shunt mode of regulation with PWM charging of battery for best SOC. It disconnects the load when battery goes to lower permissible limit. For a typical 12V system, battery limits are set to 11V (lower) and 14.4V (upper). Battery is thus fully protected by controller. Mobile charging output is SMPS version which gives control voltage and current to charge mobile battery. LED bulbs are made of 30 nos of white LEDs of extra long life with cool white illumination. It has built-in smps led driver inside the individual bulb which not only gives constant illumination over entire range of battery voltage but saves on battery drain as it is a constant power type driver and not a simple constant current type. For higher wattage requirement, you can use our Charge Controllers of higher current rating. You can use bigger battery bank and our Solar UPS for the same. 12V system comes in two different versions consisting of a solar panel, control box housing solar charge controller with mobile charging output. Individual input and output sockets for connecting to panel, LED lamps and mobile. Individual on off switches for all the loads. Indicators for charging of battery and low-battery condition provided. Pro version comes with built-in electronic overload protection and mobile charging output. Panel: 10Wp/12V poly/monocrystalline. With 5 meter cable and jack at the end to plug in main control box. 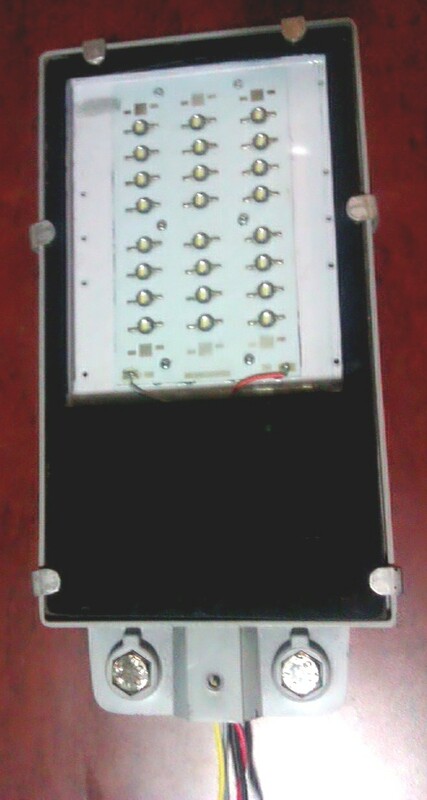 Control box: It has following sockets for connections. 1. Panel 2. 2/4 individual LED lamps 3. Mobile Charging. LED Bulbs: 42- LED cluster bulbs of 2.5W each 2/4 Nos. Complete with built-in driver and plugable ABS moulding. Bulb holders: 2/4 Numbers. With extension cable of 4 meter long and jack to plug in the socket on main control box. It is identical to 12V system except that it operates on 6V battery. It consists of main control box housing battery and electronics, different sockets for input/output, mobile output and indicator LEDs for charging and bat low condition. It comes with 2 numbers of 24-LED cluster bulbs in ABS moulding. 2 extension cables for connecting bulbs to the control box. 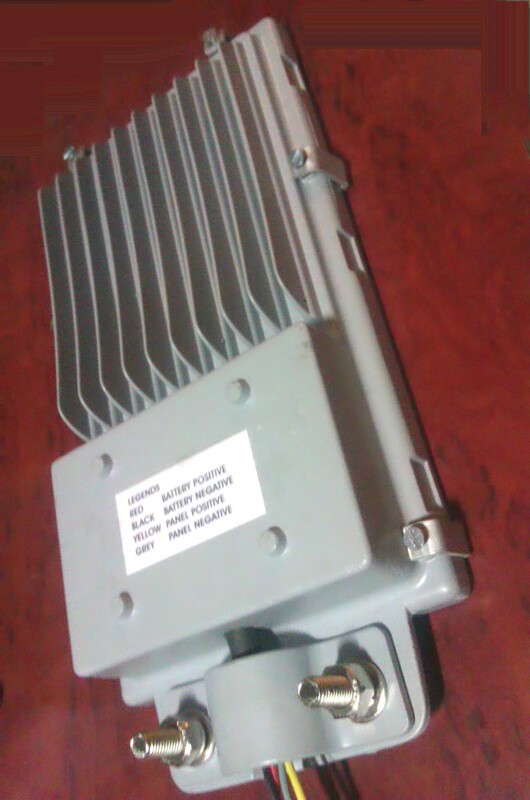 A panel of 6V/5Wp with extension cable. Panel: 5Wp/6V, crystalline, 5 meter extension cable with jack. Control box: It consists of 1. battery 2. charge controller 3. 2 sockets for LED bulb connection 4. One DC socket for mobile charging 5. One socket for panel connection 6. 2 on/off switches for bulb 7. Charging and Bat low indicator LEDs. 8. Fuse holder with 1A glass fuse. HOME LIGHTING OF HIGHER WATTAGES: Upto 120W, DC 12V system. If along with LED/CFL lamps, you need to drive DC loads like music system, TV, Fans etc., this system comes handy as you do not need inverter. Our 10A solar charge controller, McH10Si is ideal unit for the same. McLanty is an affordable and highly reliable lighting solution for remote homes where grid power is totally absent. Hence, it is designed with a view to offer it at very reasonable price and high reliability. It uses long-life SMD power LEDs as the source of light with conical reflector to convert a point source into omnidirectional light. It uses 6V/4.5Ah SMF battery and 6V/2Wp solar panel. The daily use of 4 to 6 hours is possible. 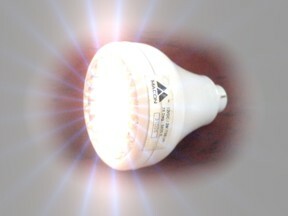 LEDs are current driven devices. Controlled and constant current under all sort of input variations is important to have constant light output and prolonged life of LED bulbs. Be them power LEDs, SMD type or through hole version, the most practical solution is to drive them with constant current. A simple constant current driver only adjusts the Input Output drop to have have constant drive to LED. Our constant power version drivers not only maintain the constant current to the LEDs, but they maintain the constant power as well. Thus not only the LEDs are driven with constant current, the power drain on battery is also reduced. Typical efficiency of the driver is better than 85% even under wide fluctuations in the input side. The drivers are in various configurations. These are suitable for 6V, 12V and 24V input. Typical drive current is 350mA but it can be customized to other values as per requirement. The drivers come in kit format with full protections against reverse connection and short circuit condition. These can be readily used in existing scheme of fixtures for home lighting or street lighting. Drivers upto 2A capacity for solar application are available. As add on kit for existing solar charge controller, mobile charging feature is possible with these kits. Based on SMPS technique, mobile charging kits are fully protected against reverse connection and output short. For efficient and safe charging of any mobile phone battery with solar power, this kit is indispensable. LED based solar street lights are available in various capacities, right from 6W through 30W. They use high lumen power LEDs in PDC aluminium housing with excellent thermal management. Luminaire uses our microcontroller based McUD81 or McUD161 universal dusk-to-dawn controller/driver with multiple programmable dimming options. The detailed operation is described in McUD81 and McUD161 data sheets.